My heart just falls apart when I see a sick child. They look like a person should look when they are sick. No one could ever mistake a truly sick child for anything else. Poor little guys. The other day I took Tornado skating for the last time this year. There was some question whether he would be able to skate because of an incident involving him and a treadmill about a week ago. He lost. 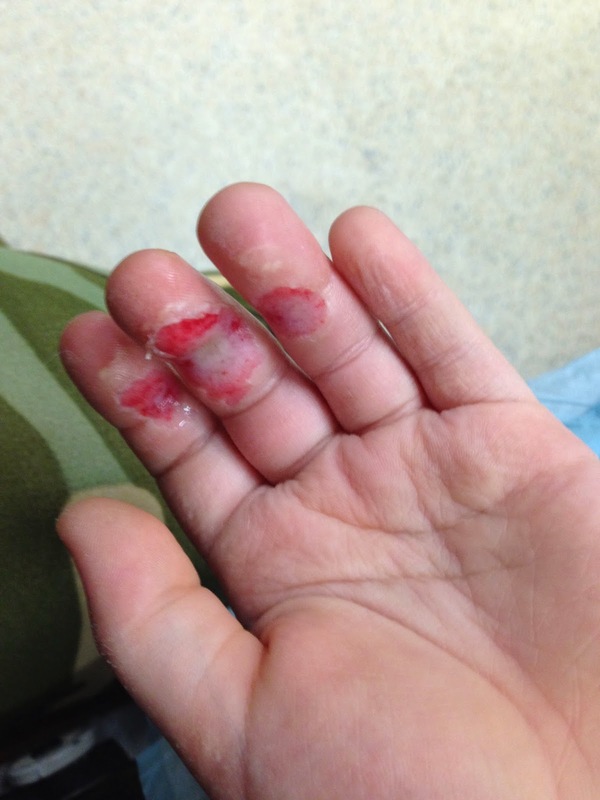 His fingers suffered “treadmill burns” which made me cringe when I saw the pictures of his fingers. The good doctors at our Children’s Hospital have bandaged him up and he should be all better before we know it. Skating went well and afterwards I took his skates back to his home where I found Arwen and Hurricane. It turns out that Hurricane has a real bad ear infection. Bad enough that the eardrum burst and was leaking. Ears aren’t supposed to leak and it was pretty gross. He had been to see the doctor, but there wasn’t much to be done until the swelling went down and they could see the ear drum. Poor little guy! I should mention that this information may be totally correct, partially correct or completely wrong. I listened to Arwen when she was telling me, but after I heard “burst” and “leaking” I kind of blanked out. He was laying on the couch watching TV. I went over and had a chat with him but he was more interested in Austin Powers than he was in his Poppa. I felt his forehead and then kissed it; that always seemed to work with my kids. It didn’t make them feel better, but did wonders for me. I told him that when I was his age and sick I would stay home from school and my mom would make a bed on the couch for me just like his mom did for him. I would have a glass of ginger ale with a “special” bent plastic straw that we would only use when we were sick. I would be surrounded by comic books that I had read a hundred times before but they always seemed to be the right thing to read when I was sick. I would also watch TV from my couch bed. When I was little there was never anything good on in the afternoon. The only things on TV were soap operas, game shows and old movies. 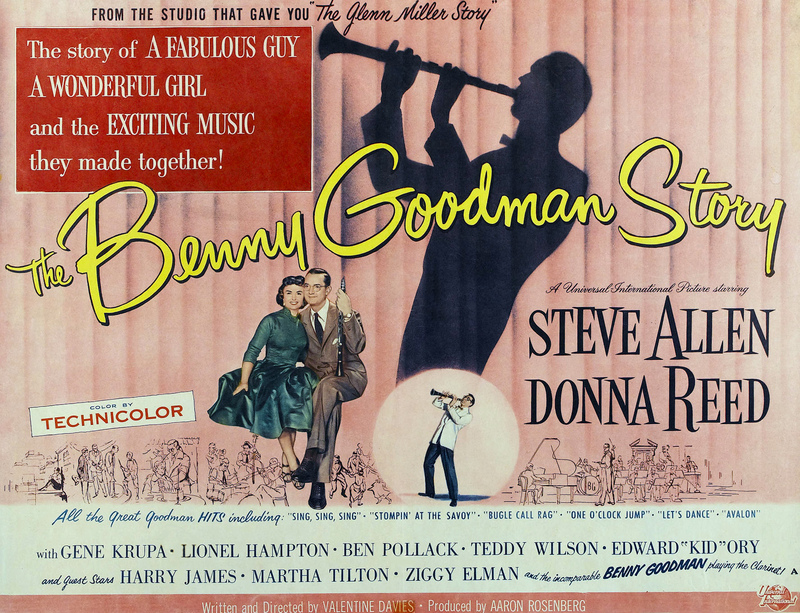 I still remember watching “The Gene Krupa Story”, “The Benny Goodman Story” and The Glenn Millar Story” at various times throughout my sick kid career. They were old, black and white and nothing I was interested in, but they were the best things on TV. They made you want to get better. I hope that both Hurricane and Tornado get and stay healthy. It’s no fun being sick or injured even though there is good TV, DVD’s and Netflix to watch. The next time I get sick, maybe I’ll get Louise to make me a bed on the couch, get me a glass of ginger ale with a bendy straw and a few comic books. There is lots to watch on TV now, but maybe I should get a DVD of “The Gene Krupa Story” you know…for old time’s sake.